At times the inner critic can be so strong that it feels invincible. 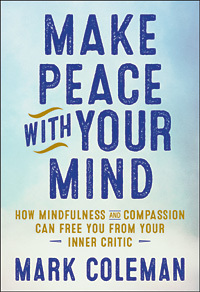 But in Make Peace with Your Mind: How Mindfulness and Compassion Can Free You from Your Inner Critic, bestselling author and renowned meditation teacher Mark Coleman promises that it is not. Episode 4 of the New World Now podcast is now live for your listening pleasure. 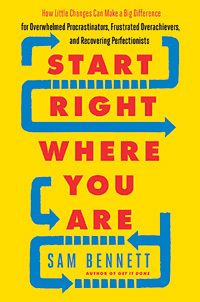 Host Kim Corbin interviews Sam Bennett, author of Start Right Where You Are: How Little Changes Can Make a Big Difference for Overwhelmed Procrastinators, Frustrated Overachievers, and Recovering Perfectionists. We invite you to tune in and listen to this great conversation. You can directly on Unity Online Radio, iTunes, Stitcher, or YouTube and if you enjoy this episode, please feel free to leave a five-star rating and review on iTunes. For more discussion with other listeners and fans after the show, we invite you to join the New World Now podcast community on Facebook. As the creator of the Organized Artist Company, bestselling author Sam Bennett’s mission in life is clear: to assist people in getting unstuck by helping them focus and move forward on their goals. 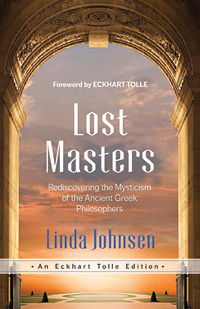 That is also the intention of her new book, Start Right Where You Are: How Little Changes Can Make a Big Difference for Overwhelmed Procrastinators, Frustrated Overachievers, and Recovering Perfectionists, which is based on the premise that small shifts in the right direction can yield big results in the realization of our creative dreams. Several New World Library authors have been sharing their unique perspectives about our new President Elect Trump reality on social media. Here are just a few examples of the powerful wisdom they have been offering in this unprecedented time of change in our country’s history. Episode 3 of the New World Now podcast is now live for your listening pleasure. Host Kim Corbin interviews SARK (Susan Ariel Rainbow Kennedy), author of Succulent Wild Love: Six Powerful Habits for Feeling More Love More Often. We invite you to tune in and listen to this great conversation. You can directly on Unity Online Radio, iTunes, Stitcher, or YouTube and if you enjoy this episode, please feel free to leave a five-star rating and review on iTunes.